It's no secret that one of the themes of this here bloggy blog has been my on-again off-again relationship with Chattanooga. We've traveled a rocky road, she and I. There have been years times of pure hatred and moments where I've resigned myself to "just get along." She's shown me her good side, her not-so-good side and everything in between. She's tried to win me over with her beautiful seasons only to turn around and mock me with her utter lack of ethnic food. There are moments when I'm certain she's wooing me. But those moments are closely followed by her cold shoulder and vicious middle finger. Tears have been shed, fingers have been pointed. More than once I've found myself screaming, "UNCLE" in the hopes that my mere surrender would be the magic catalyst that ushered the handsome hubby and I away from her. But alas, it has been nearly five years and, still, here we are. I've realized recently that I carry a boat load of the responsibility for the current status of our relationship squarely on my own shoulders. 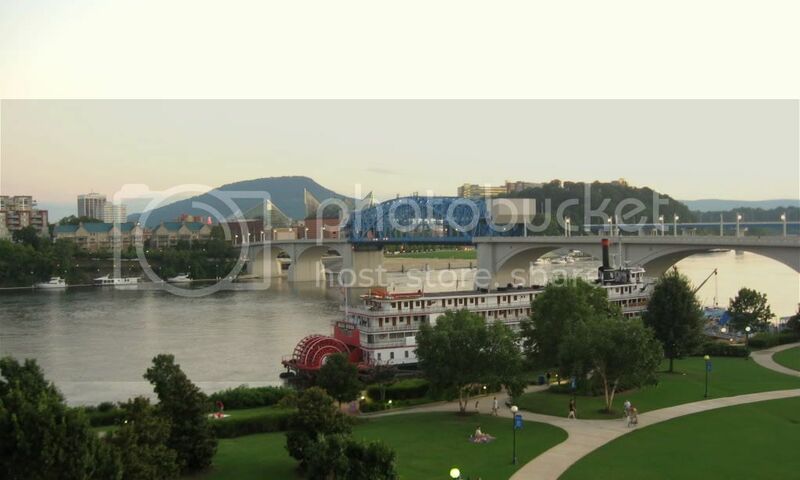 Don't get me wrong Chattanooga is far from perfect and on paper the two of us really aren't compatible. But, I've done little to foster a sense of camaraderie between us. I've poked fun of her at every given opportunity. I've rolled my eyes at some of her better qualities, dismissing them as unimportant. I've convinced myself through my repeated thoughts and chosen attitude that we will NEVER be friends. I've worked hard to convince myself how horrible Chattanooga truly is. And now, I'm reaping the benefits. See, even when I attempt to "like" her all those old yucky tapes play in my head. I've conditioned myself to cringe at the mention of Chattanooga. Let's face it; it's a Pavlov's dog situation up in here. but with her own hands the foolish one tears hers down." So it turns out that I've been real "foolish" and am consequently suffering the consequences. Nuts. But, the good news is, there's hope. I've recognized I'm a big part of the problem! And that can change! The hubby offered me a brilliant piece of advice the other day. When my trained brain starts to rip Chattanooga apart I can simply reply, "Thank you for your input, but I'm choosing to disregard that." I'm sure it won't always be as simple as that. I've got a pretty stubborn brain that's done years of research into Chattanooga's suckiness. But, it's a start. It's a concrete plan of action. Plus, it points me toward the "wise woman" track. And that seems like a much better path on which to travel.